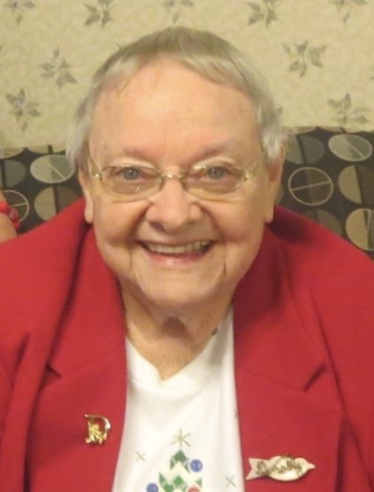 Obituary for Dorothy J. Barry | Dimon Funeral Home and Cremation Services, Inc.
Dorothy J. Barry, 88, of Donaldson, passed away Tuesday at the Lehigh Valley Medical Center - East, Pottsville. Born in Donaldson, November 5, 1930, a daughter of the late Henry and Mabel Deiter Barry. Dorothy was a graduate of the former Frailey Twp. High School. She retired after 40 years of service with the Hershey Food Company. She was a member of the Donaldson United Methodist Church and the Donaldson Fire Company Auxiliary. Dorothy's greatest joy was spending time with her family. She was affectionately known as Aunt Dorothy to everyone. Dorothy was "The Last of the Mohicans" of the Barry family. In addition to her parents, she was preceded in death by 12 siblings, Irene Landis, Margaret Ney, Catherine Reed, Helen F. Barry, Elmer, John, Clyde, Charles, Guy, Allen, Arthur and Robert Barry. She is survived by several nieces and nephews. Services will be held Saturday, February 16th at 11:00 am from the Donaldson United Methodist Church with Rev. Dr. Ira Lydic. Private burial will be in the Donaldson Community Cemetery. Dorothy was very patriotic and loved her country. She was extremely proud of her brothers who served in the armed forces, so memorial donations in her memory should be made to the Disabled American Veterans Charitable Service Trust, P.O. Box 14301, Cincinnati, Ohio 45250. The Dimon Funeral Home & Cremation Services, Inc., Tower City has been entrusted with the arrangements. To send condolences to the family visit www.dimonfuneralhome.com.